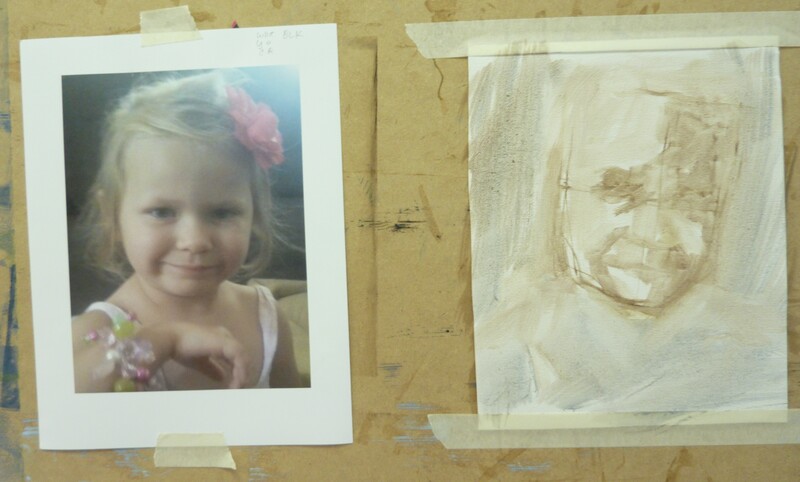 Following Mikolon’s lesson, I restricted my palette and create a mudpile. 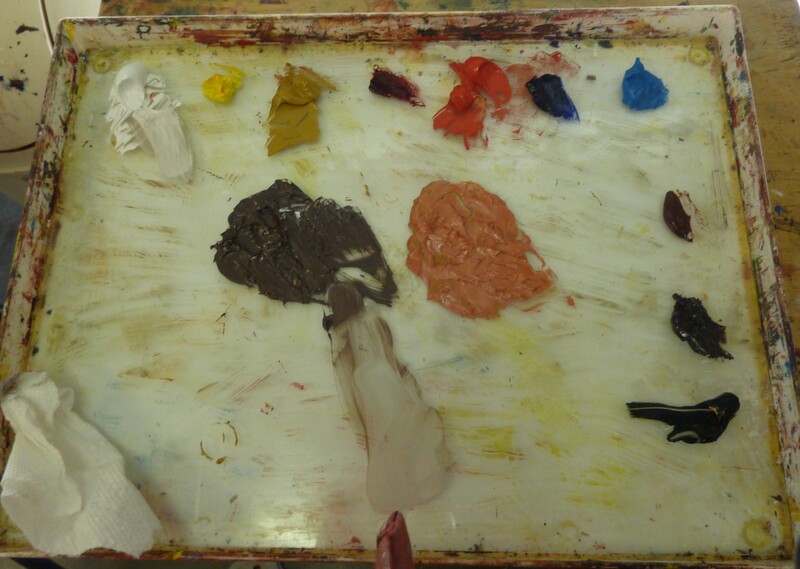 My palette consist of white, yellow ochre, cad red and black. The colors were too tonal for me but I continued to work with it. 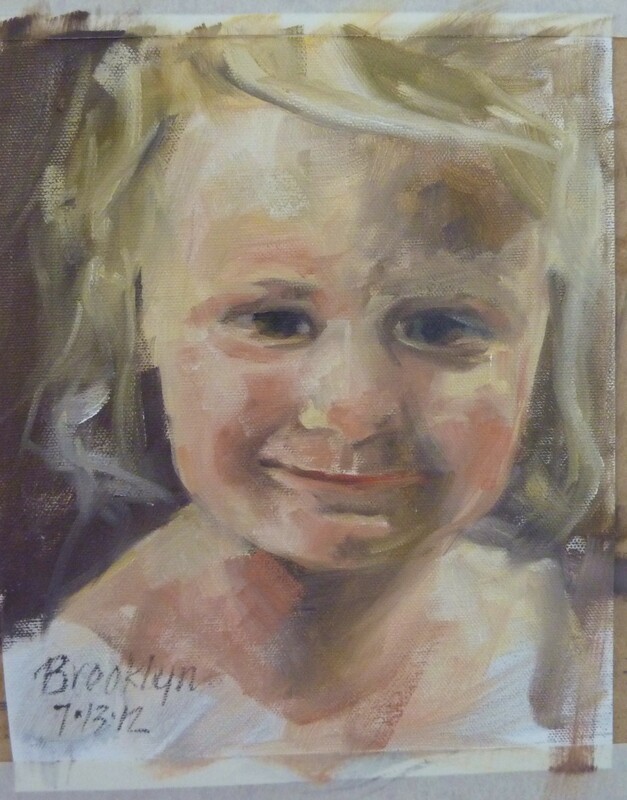 I create two mudpiles, one dark tones and one lighter tones. 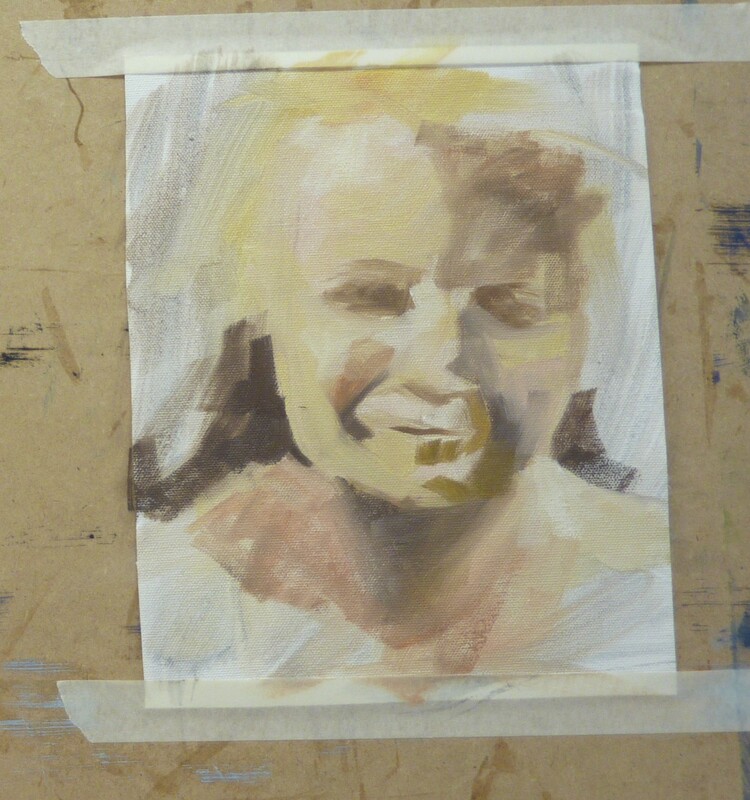 The results came out better than I expected with this limited palette. But I was itching to put in blue for her eyes. 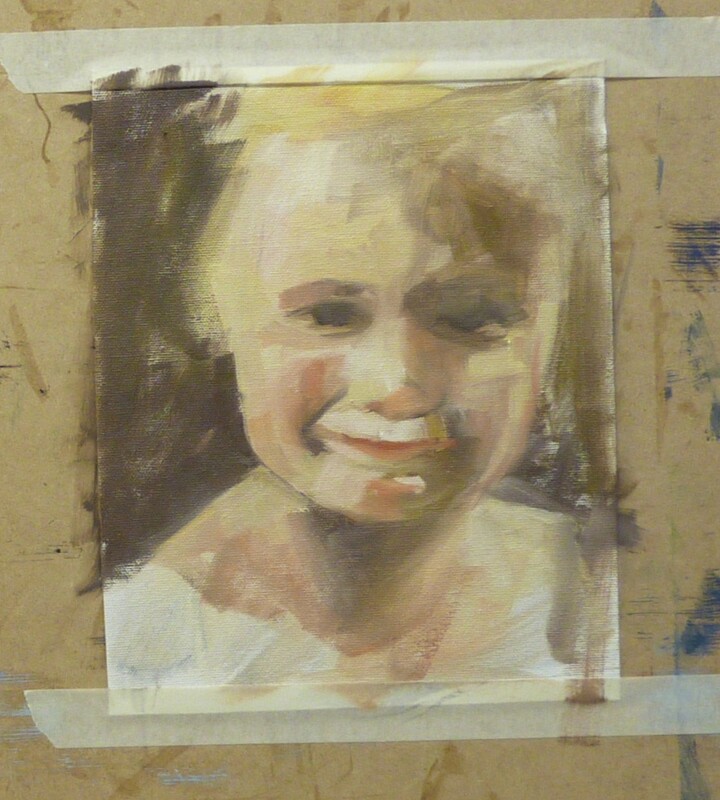 I would also use cad yellow instead of yellow ochre.